In the United States an appeal requesting of Pope Francis that he remove the city’s archbishop, Salvatore Cordileone, published as a full page paid ad in the San Francisco Chronicle Thursday, April 16th, has become a national issue. 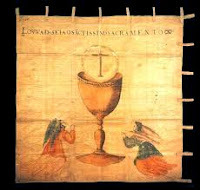 The accusation leveled at the archbishop by the signatories is that he contradicts the pope’s “Who am I to judge” by recalling to Catholic school teachers in the archdiocese—with an instruction of last February 4th—the fundamental obligation to abide by the Church’s teaching with respect to life, the family, and sexuality in their words an in their behavior. The appeal to remove the “intolerant” archbishop contained the signatures of a hundred Catholics of the archdiocese who define themselves modesty as “committed Catholics inspired by Vatican II”. Among the signatories is Brian Cahill, former director of the local Catholic Charities, and many wealthy benefactors. Charles Geschke is among them, president of Adobe Systems and ex-president of the Board of Trustees of the University of San Francisco. Also among them is Tom Brady, Sr., the father of an American football superstar, Tom Brady, quarterback of the New England Patriots. The San Francisco Chronicle, the newspaper that published the appeal, is the largest circulation daily in northern California, owned by the Hearst group. Its online twin is SFGate, with 22 million visitors monthly. 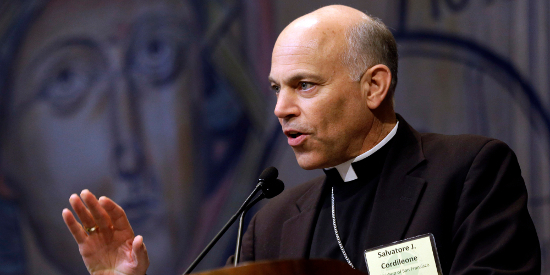 To reinforce the impact of the appeal’s publication, SFGate also launched a questionnaire with four pre-determined answers—two pro and two con—to this question: Should Pope Francis remove Archbishop Cordileone from the San Francisco archdiocese? And what came of it? The overwhelming majority lined up not to fire the archbishop, but to defend him. Evidently, the signatories of the appeal are “prominent Catholics”, but they have neither the pulse nor the following of bulk of the faithful, not even in the U.S. city depicted by the media as the most “liberal”.